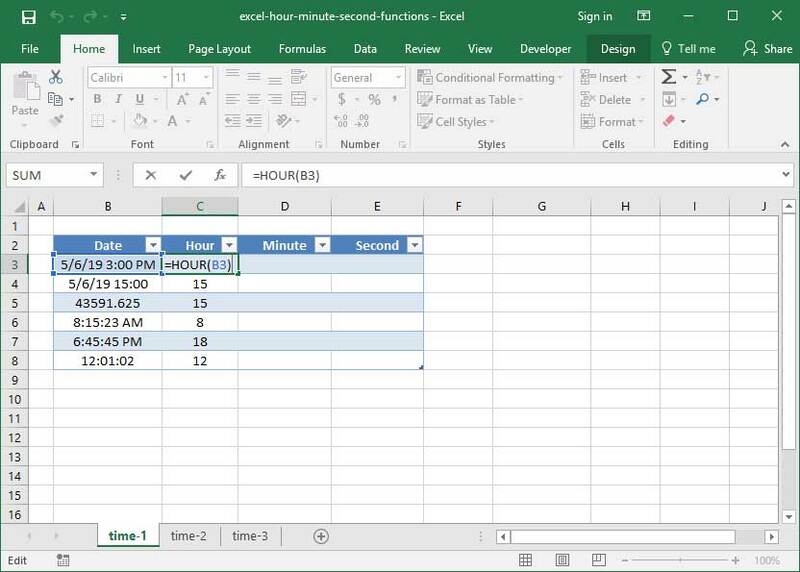 Excel's HOUR, MINUTE, and SECOND functions work much the same as YEAR, MONTH, and DAY — they take a date or time as an input (formatted as a serialized date and timestamp) and convert it into individual hour, minute, and second readings. Before reading through this tutorial, it's critical that you familizarize yourself with Excel's time formatting and serialization techniques. If you need to do so, head on over to our TIME function overview first. It can also be helpful to read our YEAR, MONTH, and DAY tutorial for additional context. Like YEAR, MONTH, and DAY, HOUR takes a time-formatted or serialized input and outputs the hour number in 24-hour time format. 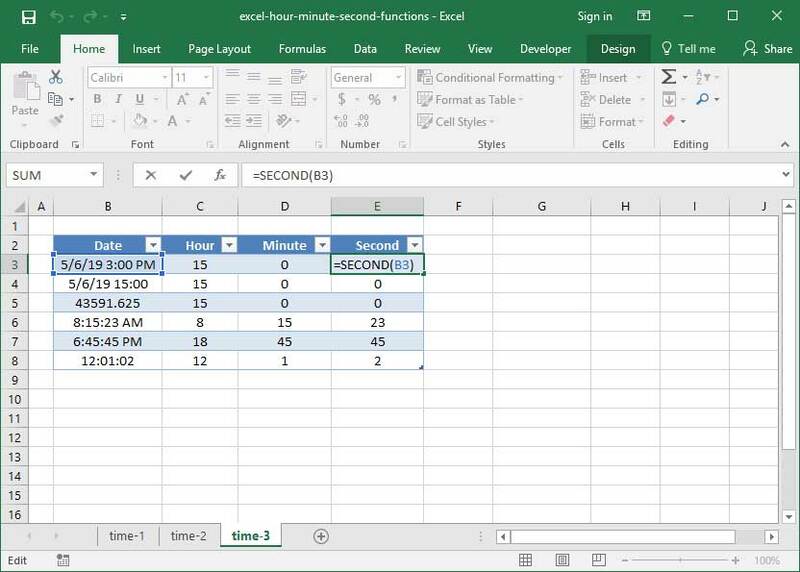 Recall from our TIME function overview that Excel's time format comes in the format HH:MM:SS, where HH represents hours, MM represents minutes, and SS represents seconds. You can either add an AM / PM designation to the end, or specify times in 24-hour format. Per the above, our HOUR function works on a variety of time formats, including 5/6/19 3:00 PM, 43591.635, and 12:01:02. Now you know the basics of Excel's HOUR, MINUTE, and SECOND functions. Please let us know if you have any questions or thoughts in the Comments section below!